The "guitar pull" is a Nashville specialty; it originated in the homes of Nashville songwriters who gathered to try out new compositions for their peers. Nashville's most storied guitar pulls were hosted by Johnny and June Carter Cash. The hallmarks of a great guitar pull are spontaneity and camaraderie. The museum launched All for the Hall, its first-ever non-bricks-and-mortar fundraising campaign, in 2005. The campaign addresses the museum's need for long-term financial security and will provide a safety net for the institution and its work. This is the seventh year the museum has taken its "annual giving" event on the road, hosting previous All for the Hall events in New York in 2007, 2008 and 2013, and in Los Angeles in 2009-11. "California, with its rich country music history, has proven to be a supremely appropriate and welcoming location for this event," said Museum Director Kyle Young. "In fact, some of the state's contributions to our genre are the subject of our very popular limited-engagement exhibition, The Bakersfield Sound: Buck Owens, Merle Haggard and California Country, whose run we've extended through the end of 2014. Los Angeles has always given our All for the Hall event a very warm welcome, and we look forward to seeing old friends and making new ones in March." Last year's event, held at the Best Buy Theater in New York City, featured performances by Gill and Harris, Jason Aldean, Gregg Allman, Rodney Crowell, Ashley Monroe, Pat Monahan and Joan Osborne. CMT's Jim Allen wrote that "the evening was about the inspiration of the moment....Whether it was Gill digging into 'Ring of Fire' in honor of Johnny Cash's birthday (joined by Harris and Crowell) or Aldean pitching in on both Allman's 'Midnight Rider' and Monahan's Train smash 'Drops of Jupiter,' the artists were more concerned with following their noses than following a script." All for the Hall Los Angeles patrons are offered their choice of VIP tables of 10 for $25,000 or $10,000. Individual VIP tickets are available at $1,000 per seat. At these ticket levels, a cocktail reception and dinner will precede the guitar pull. A full list of VIP table and ticket levels and benefits can be found on countrymusichalloffame.org/afthla. To purchase tickets or for more information, patrons may contact Rachel Shapiro at rshapiro@countrymusichalloffame.org or telephone (615) 416-2069. Additionally, tickets for balcony seating (for the performance only) will go on sale on Friday, January 31, at 10:00 a.m. PST. Tickets, priced at $125, $95 $65 and $49.50, plus applicable fees, can be purchased via AXS.com or from 10 a.m. - 5 p.m., Mon. - Fri. at the STAPLES Center Box Office. The box office is located at 1111 S. Figueroa Street. Also, the Club Nokia Box Office is open for sales beginning at 5 p.m. on show days only. All for the Hall Los Angeles is chaired by BMI President and CEO Del Bryant and produced by CAA's Rod Essig, Vector Management's Ken Levitan and BMI's Jody Williams. The event is made possible by the generosity of AEG Live and Club Nokia. 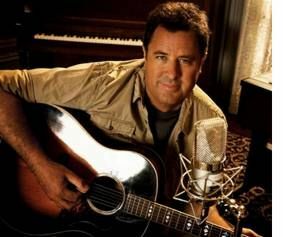 One of the industry's most popular and most recorded singers, superstar Vince Gill is a triple threat known for his spellbinding vocals, emotionally powerful songwriting and world-class guitar-playing. Gill achieved his big breakthrough with "When I Call Your Name," which won the Country Music Association's Single of the Year Award in 1990. Since then, he has won 17 more CMA honors. Gill has received 20 Grammy Awards, sold more than 26 million albums, and was inducted into the Country Music Hall of Fame in 2007. He is also a member of the Grand Ole Opry and was honored with a star on the Hollywood Walk of Fame. Additionally, he is a member of the Grammy-nominated the Time Jumpers; Rounder Records released the band's first studio album last year. Gill's high, pure tenor voice and unerring sense of harmony have caused dozens of artists-from Reba McEntire to Dolly Parton-to embrace him as a duet partner. Gill has established himself as one of the most successful guitarists of his generation. Combining a deep knowledge of bluegrass and classic country with the fire of '60s rock, Gill has earned a place next to his musical heroes. Emmylou Harris is a 13-time Grammy winner and Billboard Century Award recipient whose career spans 40 years. She has recorded more than 25 albums and has lent her talents to countless fellow artists' recordings. Elected to the Country Music Hall of Fame in 2008, she remains an inspiration to new generations of artists. Harris' most recent album, a collaboration with Rodney Crowell, Old Yellow Moon, was released in 2013. In addition to music, Harris is a champion of many humanitarian causes, including landmine removal and animal rescue. The 2013 Rock and Roll Hall of Fame inductees Ann and Nancy Wilson and their band, Heart, have sold more than 35 million albums and become part of the soundtrack of American life. The band stormed the charts in the '70s with hits like "Crazy on You," "Magic Man," "Barracuda" and "Straight On," and dominated the airwaves throughout the '80s and early '90s with smashes like "These Dreams," "Alone," "What About Love," "Never" and more. The sisters have also achieved significant success as individuals: Ann's solo hits include "Almost Paradise" from Footloose and "Surrender to Me" from Tequila Sunrise, while Nancy composed and performed the scores to a half dozen motion pictures including the award-winning films Jerry Maguire and Almost Famous. In September 2012, Ann and Nancy released their first-ever memoir (Kicking & Dreaming: A Story of Heart, Soul and Rock and Roll). Jason Mraz has quietly amassed a youthful, diverse and vibrant global fan-base. His critically acclaimed live performances have propelled him from the San Diego coffeehouse circuit to amphitheaters, arenas, festivals and stadiums all over the world. Among other accolades, Mraz has won two major GRAMMY® Awards, a People's Choice award and the Hal David Songwriter Hall Of Fame Award. He is among the most gifted and beloved artists of the modern era, making pop history with his record-breaking single, "I'm Yours," which remained on the Billboard 100 longer than any other song in history. His releases have earned platinum and multi-platinum certifications in more than 20 countries. Moreover, the San Diego-based troubadour has proven a diverse creative presence, enjoying collaborations with Zac Brown, Crosby Stills & Nash, Hunter Hayes, Travie McCoy and others. A dedicated surfer, farmer-gardener, filmmaker and photographer, Mraz is first and foremost a committed global citizen. His impassioned social activism and philanthropic efforts span wide-ranging environmental advocacy and ardent support for LGBT equality. His global activism includes participating in a rescue mission to Ghana with Free the Slaves, and an internationally broadcast live performance in Myanmar to 70,000 people to bring awareness to human trafficking with MTV Exit. Through it all, Mraz continually confirms and celebrates music's myriad forms and miraculous power, inspiring and delighting fans around the world. Rita Wilson is well known as an accomplished actress (Sleepless in Seattle, It's Complicated) and film producer (My Big Fat Greek Wedding, Mamma Mia! ), but few may be aware that her early show biz ambitions were actually musical. Born and raised in the Hollywood Hills, Wilson harbored dreams of becoming a singer in the '60s and '70s after falling in love with the Beatles, the Supremes, the Eagles, Linda Ronstadt and Joni Mitchell, among many others. Wilson achieved her dream in May of 2012 with the Decca Records release of her debut album, AM/FM, an intimate, elegant and beautifully sung collection of classics from the '60s and '70s that, taken together, make up the soundtrack to her life. She chose songs for the album that resonated with her emotionally, achieving an album that is an extremely personal endeavor. The New York Times called it a "charming, nostalgic throwback to the soft rock of Los Angeles" and Rolling Stone said Wilson "has an expressive denim and suede soprano." Accredited by the American Alliance of Museums, the Country Music Hall of Fame® and Museum is operated by the Country Music Foundation, a not-for-profit 501(c)(3) educational organization chartered by the state of Tennessee in 1964. The museum's mission is the preservation of the history of country and related vernacular music rooted in southern culture. With the same educational mission, the foundation also operates CMF Records, the museum's Frist Library and Archive, CMF Press, Historic RCA Studio B and Hatch Show Print®.